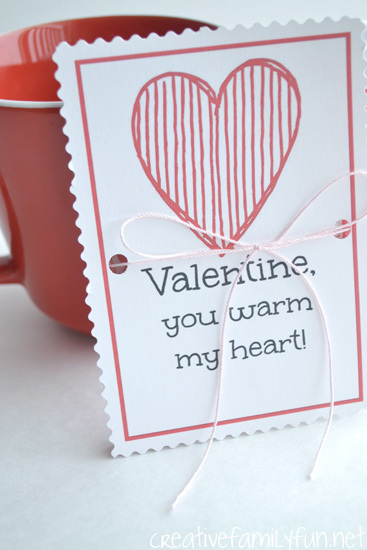 Valentine, you warm my heart! And dear reader, you warm my heart too. 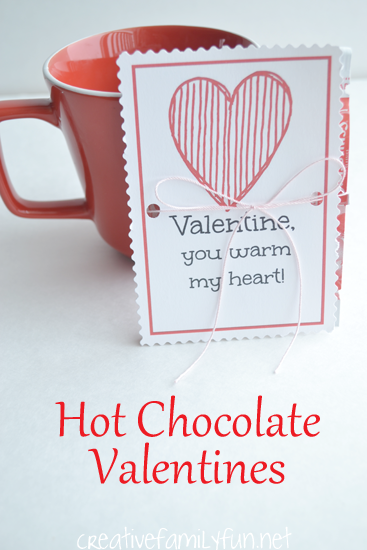 That’s why I made these fun little Hot Chocolate Valentines for you. All you need to do is print them out and add a packet of hot chocolate to each. Print enough for your elementary-aged child to give to the whole class or maybe your tween would like to gift a few to some of her close friends. They would even work as a little Valentine’s gift for your co-workers. It would warm anyone’s heart to receive this sweet treat. Print up as many Valentines as you wanted. There are four Hot Chocolate Valentines to a page. Keep reading, you can find the link to download the cards at the bottom of this post. And, also punched a hole along each side. Use string to tie your packet of hot chocolate to the back of each card. 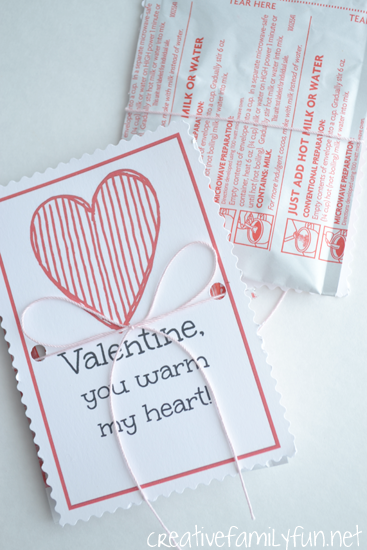 If you are worried about the hot chocolate packets slipping out, attach the card to the packet with a piece of double-sided tape before tying the string. 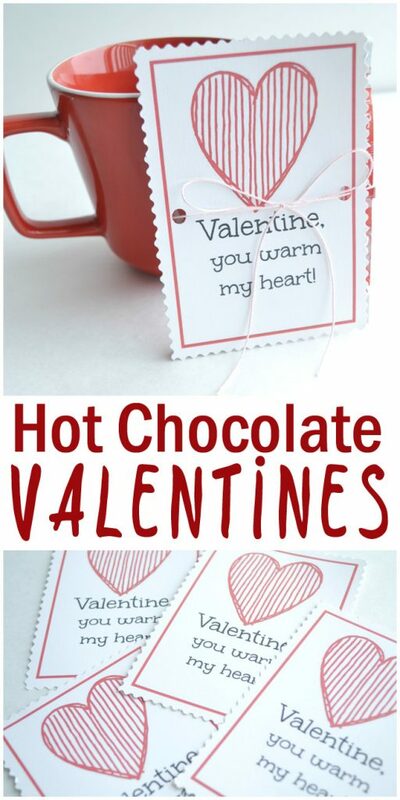 You’re friends and family will love receiving this simple Valentine’s gift of hot chocolate. I wish I could give one to all of you, but instead I’ll just give you the tools you need to make your own Valentines. 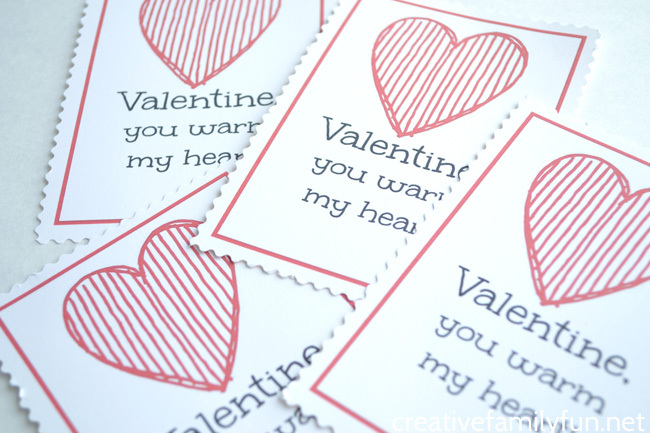 Click here to download your set of Valentine cards. Are you looking for fun kids activities?